The ministers role or calling is to equip the people of God to reach out in love to those around who are unknowingly lost. This is done primarily through explaining what the Bible, which is God’s divine revelation to mankind, means in everyday practical Christian living. Iain’s interests include fishing and cooking, and a specialty is scallops – his favourite food! His musical tastes include Van Morrison, Johnny Cash, Bob Dylan and U2. Iain also likes reading biographies. The family usually holiday in Enniskillen in Northern Ireland, but take as many opportunities as possible to head to Uist to catch up with family and friends and to enjoy the best beaches in the world! 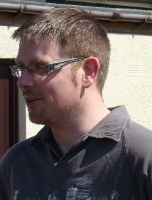 Calum (Honda) has been the assistant at Rosskeen since October 2009. He hails from the Isle of Lewis and, before applying for the ministry, he worked in the finance department of Lewis Castle College in Stornoway, dealing mainly with students fees. Iain and Calum are also Chaplains at Ross County Football Club. The Kirk Session is the name for the formal body of Elders within the congregation. Elders are a group of leaders called by God and approved by the congregation to oversee the spiritual welfare of the congregation. They will generally include at least one who is specially trained and set apart to teach (the Minister). Each session is represented at the superior court known as the Presbytery, which has responsibility for a number of congregations in a geographic area. The Presbyteries are in turn represented at the church’s highest court, the General Assembly. Rosskeen is part of Northern Presbytery. Who is on the Kirk Session? Rosskeen Kirk Session has 8 Elders. They include Rev Iain MacAskill (Minister) and Rev Calum MacMillan (Assistant Minister). The Session Clerk is David Lipp. Deacons are individuals elected to take care of the material and financial concerns of the congregation and, as a formal body they are known as the Deacons Court. Elders are also represented at the Deacons Court. 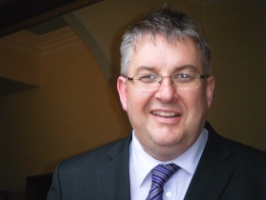 The Clerk to the Rosskeen Deacons Court is Mark Stirling. One responsibility of the church is to help to ensure that the Free Church of Scotland and its activities and services are safe for all who come into contact with them. In particular, those who are vulnerable – both children and adults at risk – must be protected from harm, and this is known as Safeguarding. We are a diverse congregation drawing from a wide range of social backgrounds. Some us are from extended families which have been connected to the church for generations, some of us are individuals with no church background, and some fit in between somewhere! We have a good mix of ages too. We hope to add profiles of some of the folk from the congregation and we’d love to get a chance to know you too!